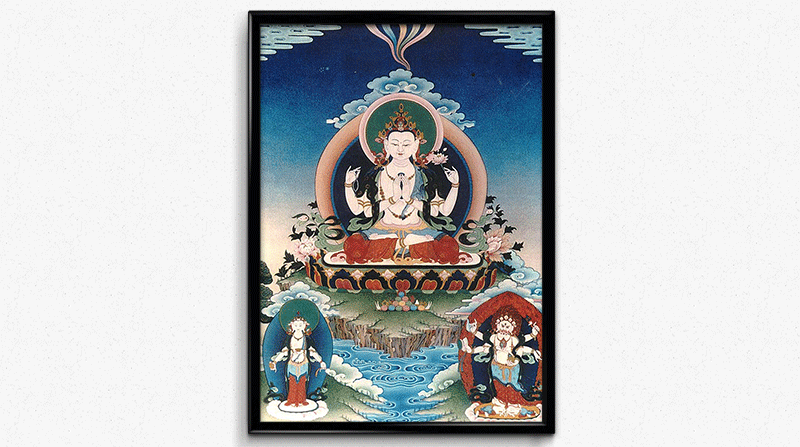 The Tibetan name of the Buddha of Compassion is Chenrezig, also known as Avalokiteshvara. 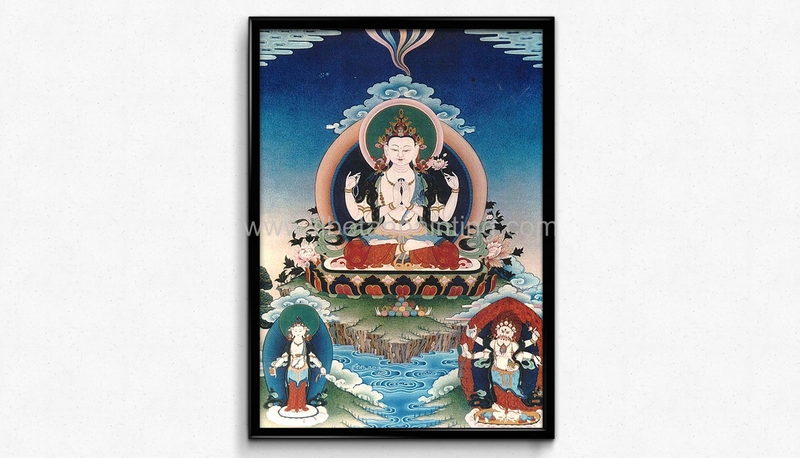 Avalokiteshvara is the archangelic Bodhisattva of Great Compassion. His vast vows to save all beings are said by the texts to be inconceivable. With his special mantra OM MANI PADME HUM (" Hail the jewel in the Lotus"), he travels to all realms of the universe in his tireless quest to deliver beings from suffering. With his female colleagues, Tara and Bodhisattva is probably the most universally beloved divine figure in Mahayana Buddhism.